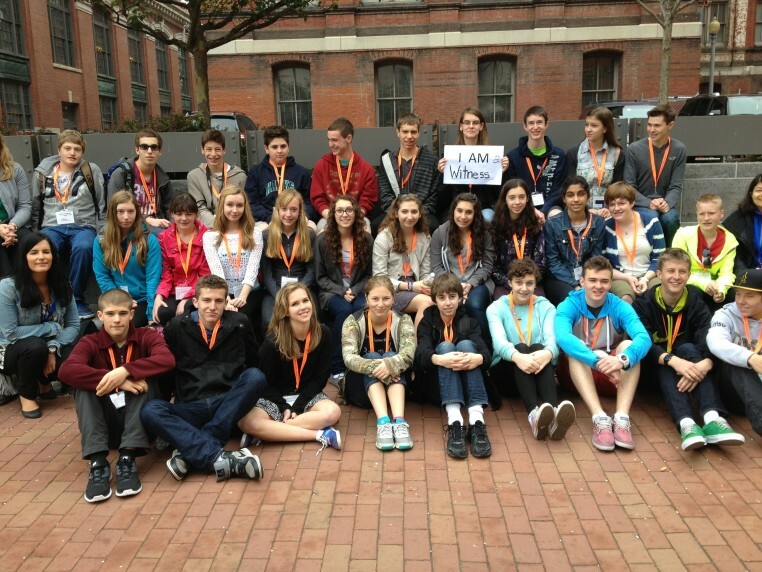 Students in Washington, D.C. outside of the Holocaust Memorial Museum. Grade 9 and 10 students (both Jewish and non-Jewish) are invited to participate in this exciting program that includes community service, education, and a trip to visit the United States Holocaust Memorial Museum in Washington, D.C. Please contact Ilana at 403-444-3162 to learn more about this excellent program or email Ilana to receive a copy of the application form. Calgary Jewish Federation is proud to pilot the Washington Holocaust and Human Rights Studies Program. The program objectives are to promote respect for others and sensitize grade 9 and 10 Canadian students to the consequences of racism through a specially designed education program. This program is based on the successful Asper Foundation's Holocaust & Human Rights Studies Program which started in 1997 in Winnipeg, Canada. It was the recipient of the 2004 Human Rights Award from the Nova Scotia Human Rights Commission “in recognition of (its) creative means of advancing and protecting human rights and working to address racism in our communities”and other esteemed awards. All students are required to take a 20-hour education program, or its equivalent, on human rights and the Holocaust with an added emphasis on the current events. The curriculum for the educational component of the program is a multi-media platform of engaging and thoughtful study. 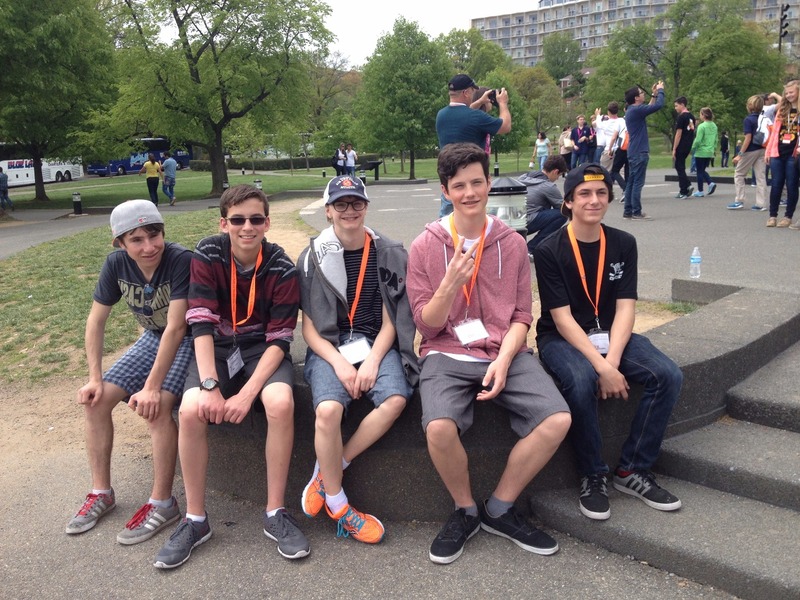 After the educational component is completed, students participate in a trip to Washington, DC, where they spent several days at the U.S. Holocaust Memorial Museum and other important monuments relating to human rights and freedom. Students are required to complete 12 - 16 hours volunteer community service on public projects that meet program requirements. This has resulted in over 145,000 hours of community service being carried out across Canada since the original program was established. The last component of the program is an evening graduation ceremony held to present a Memorandum for Personal Responsibility to each student. The Memorandum aims to provide each student with a sense of the importance that they participated in the program and to remind them that they have a personal responsibility for the world community. The ceremony is a wonderful way to provide the students with closure to the formal part of the program as well as the sense that they are now beginning a new life of greater understanding and inclusion. For more information please email Ilana Krygier-Lapides or call her at 403-444-3162. All students are required to take a 20-hour education program, or its equivalent, on human rights and the Holocaust with an added emphasis on American history, the civil rights movement and the current situation in the world today. The curriculum for the educational component of the program was developed specifically by Calgary Jewish Federation's Holocaust and Human Rights educators. The value of this program is immeasurable and students who have attended say that the experience stays with them for the rest of their lives. Parents, too, notice a change in their children when they return from their trip. "Nothing but positive things to say about the program and the experience offered to my daughter." "She came back more aware a to what happened in history and now is trying to relate to present situations." "Classes were amazing. He really enjoyed them and learned a lot!"